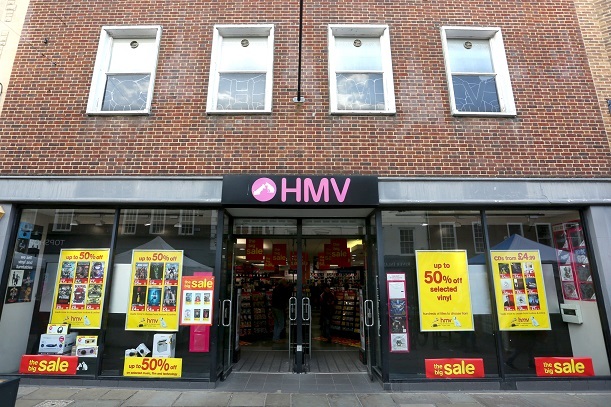 CHICHESTER’S branch of music shop HMV has been confirmed as one of the stores to be closed after the company went into administration. Canadian firm Sunrise Records has emerged as the buyer of the collapsed music chain, beating competition including from Sports Direct owner Mike Ashley. But 27 stores will close, including the one in East Street, resulting in 455 redundancies in total. Sunrise Records chief executive Doug Putman said he was “delighted to acquire the most iconic music and entertainment business in the UK”. The branch in Chichester closed it’s doors on Tuesday. Other stores up for closure include Bath, Bristol, Reading and Plymouth and the flagship branch in Oxford Street, the location of its first store. The news comes just days after retail giant, House of Fraser closed its doors in West Street on January 26.